One of the Famous Tourist attraction in Mathura is the Kusum Sarovar Lake .There are hundreds of stairs all around the lake. Many stories attached with the Lake are historical and also mythological. 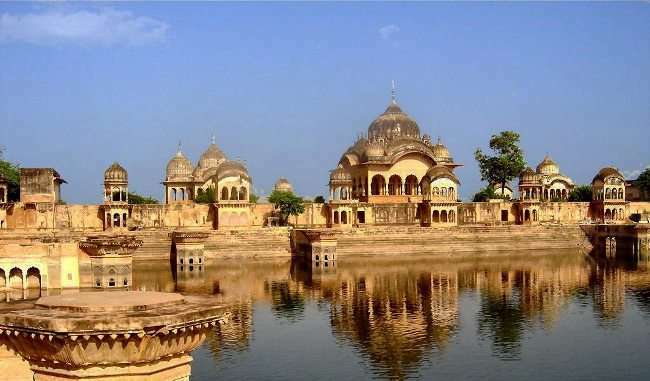 According to the Legend one such place is Kusum Sarovar of Mathura which used to be visited by Radha-Krishna. 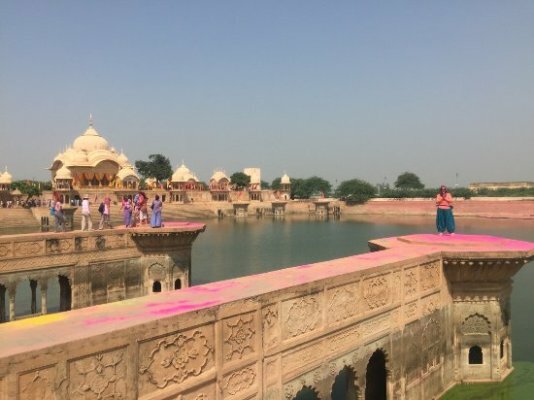 Radha Ghat is about 2 km from Govardhan, located in Mathura city of Uttar Pradesh, near the historic Kusum Lake which is 450 feet long and 60 feet deep. The ancient lake was built in 17th Century by the Bundela king Veer Singh Dev of Madhya Pradesh. After this, King Surajmal renovated it and gave it the shape of a grand lake. 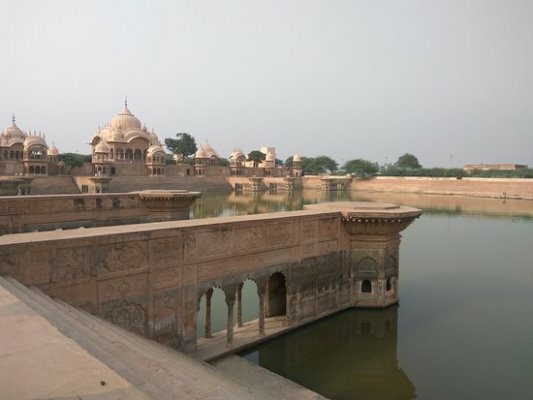 King Jawahar Singh, the son of King Surajmal, in the west of Sarovar, built umbrellas on a high terrace in memory of his father and his three daughters. It is believed that Lord Krishna used to hide and hide from Radha only on Kusum Sarovar. At one time Radha Rani and all the Sakhis were going to choose flowers for Lord Krishna, Kusum Sarovar Govardhan used to go only. There are hundreds of stairs all around this lake. 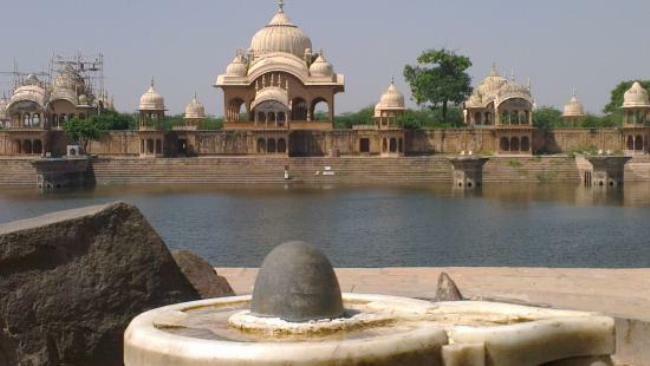 There are several steps trees around this lake and it is said that the tree of step was very liked by Lord Krishna and this is the reason that not only do not forget to visit the Kusum Sarovar, not only India but also the tourists coming from Mathura-Vrundavan from all over the world. The water of this lake is considered to be better than swimming and tourists coming here can spend great time. There are also many ashrams and temples around Kusum Sarovar. Also the evening’s Aarti also attracts tourists.